Brownie points to them. 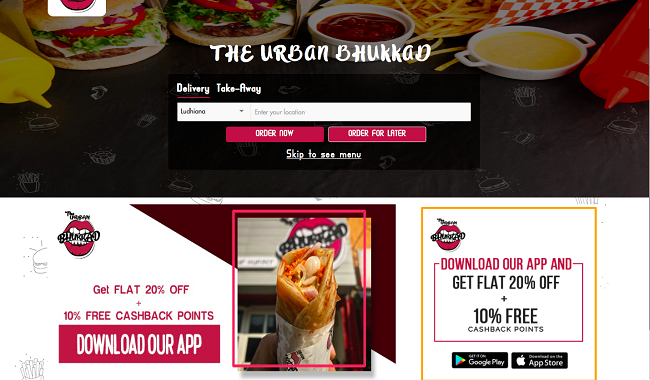 Unlike other common websites, this one is based in Ludhiana and has more than 50 restaurants listed including the likes of Spice Cube, Sagar Ratna, Berco’s, Belfrance, Rollarappa, Milkshake And Co. So the next time hunger strikes, just go to their website, login, choose the desired location , place your order and tada! They don’t accept online payment though. #GedhiTip – Keep an eye on the discount and cash back offers that keep flashing. This fast food drive-in place started by Chef Jatin Khurana is a very well known name in the city. People are such loyal fans that even if they have to wait around half an hour or more for their food, they happily do. 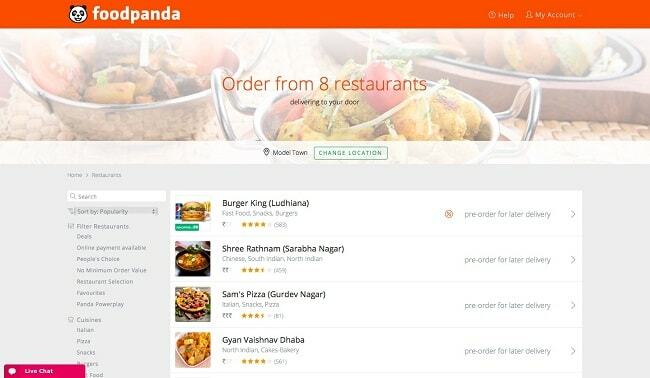 Well now you can seamlessly order food from their website or app and wait for it in the comfort of your own home. They have an extensive menu and are pretty swift in their delivery. All you have to do is login on their website/ app , place your order and pay when you receive your order. The best part is that you can time whether you want the delivery instantly or later. 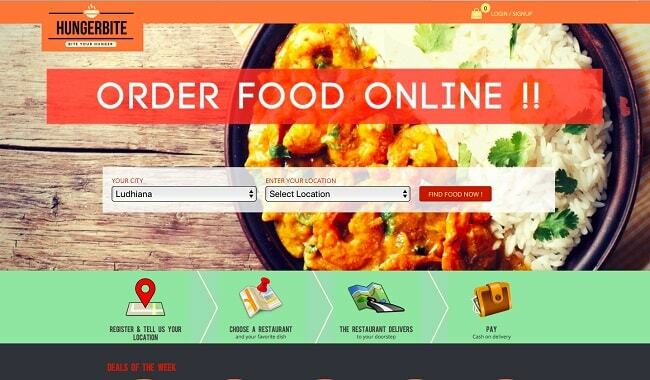 This food delivery giant does function really well in Ludhiana. Their functionality remains their USP. With extremely accurate listings as per your location, your only worry is to decide what to order. You can place order for a later delivery , check for minimum order delivery, different payment options etc etc. They package really well and accept online payment, Paytm, Mobikwik, COD . Well, that’s one website that has been for us since a very long time. The drawback – you can order Pizza, Sides and Soft drinks only. 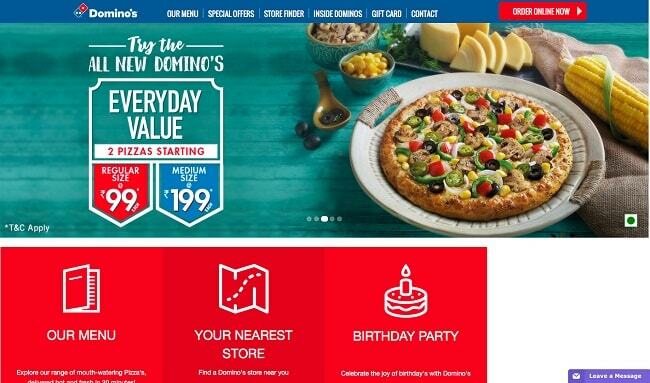 Like other websites, their ordering process is pretty simple and within 30 minutes of placing your order, you have your pizza. The delivery is pretty fresh and they accept online payments and cash on delivery. There are some food cravings that can be curbed only at Pizza Hut. 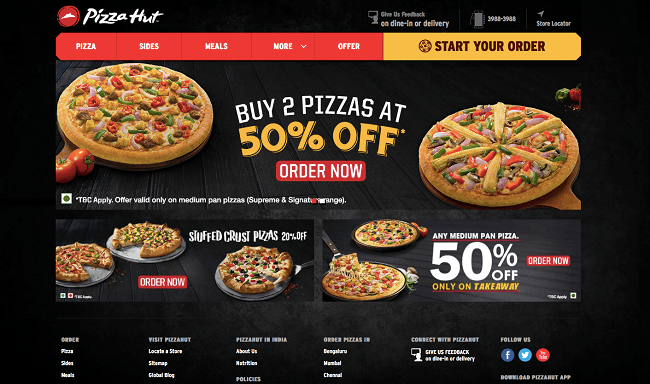 The pizza crust variety, side order variations make Pizza Hut the perfect go to on a lazy afternoon of carb craving. The only downside is that they might not deliver to your area. Model Town is not a part of their delivery areas though Model Town Extension is, so if you don’t live in Model Town, order away! #GedhiTip – They have amazing meal deals. Keep checking them.